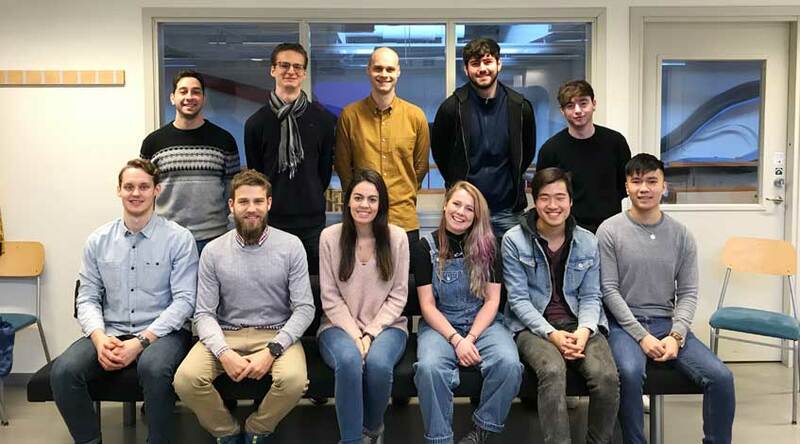 The Interns for the final Circular Design Internship Programme, which is conducted as a part of Learning for Innovative Design for Sustainability Erasmus+ research project, started on February 4th, 2019 with eleven interns. The internship structure and projects were introduced on the first day by the LiU team Dr. Renee Wever, Dr. Erik Sundin, Dr. Nazlı Özkan and Philip Ekströmer. The requirements of the projects were discussed. The interns were given time to consider the projects and their capabilities to be able to choose their groups. Dr Renee Wever gave a class about the circular economy on the second day. An in-class exercise about interns’ skills, knowledge and their aspirations about their future carriers was conducted in order to decide the groups. This project focuses on identifying and investigating ways to increase the reuse of white goods and appliances. Today, individuals and companies have three main options when they no longer want to use their white goods and appliances. They can sell them through secondary markets such as Blocket or e-Bay, get them picked up in connection with deliveries of new appliances or drive them to collection points at municipal recycling centres, ÅVC, from where they go for recycling. The project aims to complement the existing second-hand sales by creating a model based on identifying reusable white goods and appliances which are left in recycling centres, ÅVCs or returned under warranty because of customer complaints and in case of transport or installation damage before they are formally classified as waste. To get the circular system to work efficiently, useful products and product parts should be identified at the early stage without the need for initial handling. One of the challenges of this project is to ensure that users bring the product back so that can enable controlling and remanufacturing cost effectively before their value is diminished. Exploring the ways to increase reuse of white goods and appliances before they are formally classified as waste. Saiboo has been working on increasing the circularity of its products through several projects, together with universities in Sweden. This project focuses on exploring workwear for healthcare professionals and closing the material loops while creating functional and high-quality outfits. The aim of the project is to reimagine the workwear and propose alternative solutions with a system perspective considering the needs of healthcare workers. The interns are expected to compare to the current situation, assess what is possible and design alternatives and then validate it against the current practice. This is an exploration of what might be possible in the future. The objective is to improve circularity, keep the environmental and economic value of the clothes high as much as possible while creating an aesthetic language that makes it easy to recognise who belongs to the healthcare team. Designing workwear for healthcare professionals aiming to close the material loops.